It is all nice and well talking about apps, saving money and having fun while playing games on our Android smartphones and mobile devices. But, it is sometimes good to pause and just look up and see the world around us. Unfortunately, whatever country we hail from, things are not looking good. We are talking about violence, of course. It is quite ironic how in some ares modern life is such an improvement over life as it was in the middle ages, while in some other areas, modern life seems not to be better at all. Fact is, our personal safety has never been so low, and women in particular are vulnerable to violence, even in the family. Road rage has never been so prevalent like today and these are just examples. Well, what is there to do about it? First of all, we must understand that not anyone can deal and teach self defense, but the Silver Knight company has dealt with personal safety issues for years, even decades, which makes their app Protection For Life that much more interesting and useful. 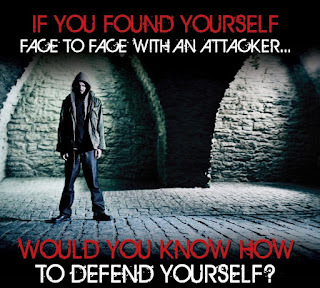 The app offers online course in self protection but here the Steel Knight deep understanding of the term brings about a radical change in the way most people think about self protection. The first thing one must learn is how to avoid self protection situation, by recognizing and identifying dangerous situations in advance and avoiding them all together. Of course, even avoidance can't be effective ALL the time so the app presents a number of techniques that are designed to help the average person been attacked to fend off the attacker, even if the attacked is smaller and weaker than the attacker. The online course has a distilled number of techniques and movements, all designed to help a person being attacked escape his or her attacker with minimum risk to the attacked, as this involves movements, elbow strikes and punches, with the occasional kick thrown in for good measure. With something as important as self defense, you have to use professional teaching to have a chance to be effective with something happens, and Protection For Life with content by Steel Knight is just that.